Working with Slant Partners, we were tasked with bringing innovation and creativity in to version 6 of www.r-o.com. Working closely with the RO marketing team, Slant crafted a fresh, engaging design for us to implement. We worked tirelessly with Slant to optimize every aspect of the design for all devices, including phones and tablets. Behind the scenes we developed a custom content management system to allow RO and Slant to modify the site's content. 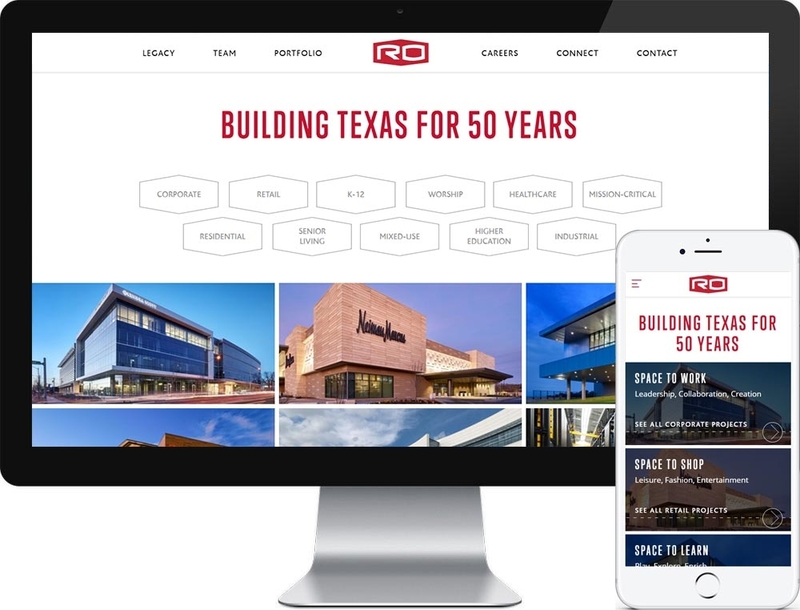 This includes a custom project module system so RO can present their projects in a variety of ways using creative photography and project details. Additionally, we tapped in to the Twitter API to create a dynamic connect page for the RO site to load in their tweets containing pictures for a creative news page. This project is a 2017 W3 Awards Gold Winner. This project is a 2017 Davey Awards Gold Winner. This project is a 2017 Awwwards User Approved Commendable Site Winner.